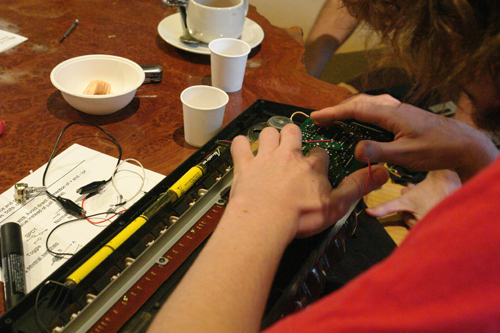 We had a circuit bending workshop for the beginners, Circus Bendum vol.1 on 9th Oct 2011. All the participants had a great time with Dr. Perrin! There were a few female participants. 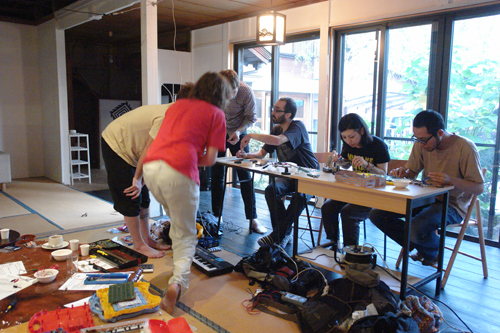 The participants brought their own toys and instruments and bend them as they want. 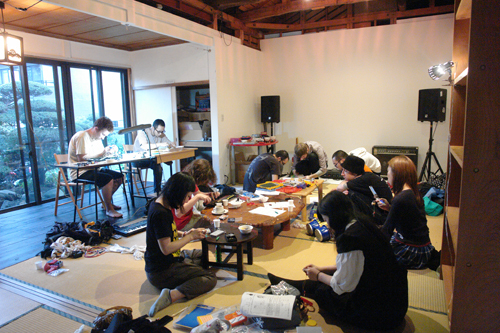 参加者の完成品ビデオです↑　Video of the finished toy by the participants.